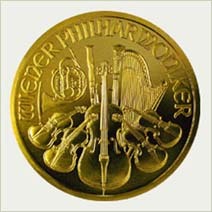 The Austrian Philharmonic Gold Coin is minted at the Austrian Mint in Vienna Austria. 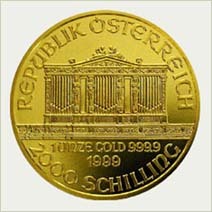 The Austrian Mint has been producing quality coins for collectors, investors for over 800 years. Austria has gained recent recognition as having issued the first gold coins issued in the new Euro currency. for the obverse side of the coin. It is one the most finely crafted and beautiful coins in the world. it's purity and content is guaranteed by the Central Bank of Austria.